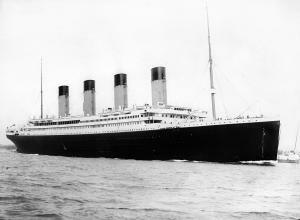 We all know the tragic story of RMS Titanic that perished on its maiden voyage in 1912, killing some 1,500 passengers. But what about Titanic's forgotten victims? Who knew about the 12 dogs and other companion animals that were onboard RMS Titanic when it sank? There were, in fact, a number of animals onboard when the ship struck ice, a handful of which had tickets, and probably a lot more that didn't. Ship staff were aware of Jenny - a rat-catching cat - several dogs belonging to upper class passengers, a yellow canary and some hens, not to mention the ship’s large population of rats. It has also been claimed a pig was present on Titanic’s voyage, although this was later proven to be a musical toy pig (pictured left), belonging to passenger Edith Rosenbaum. The musical pig was played in her lifeboat to soothe the children following Titanic’s collision and sinking. Bringing dogs onboard was a privilege restricted to those travelling on First Class tickets. The cost was extortionately high, perhaps to discourage passengers from bringing animals onto the ship. All animals were required to carry their own tickets, the prices of which varied, though for dogs it was roughly half the price their owners had paid, or the price of a child's ticket. Considering the cost of a First Class ticket was anything up to £100,000 in today's money, dogs that did make it aboard were exceptionally fortunate. The cost for a canary was believed to be 25 US cents. Although there is no knowing just how many dogs were onboard RMS Titanic, the ship's inventory indicates about a dozen. There would have been many more onboard had it not been for a change of heart by Charles Moore, a breeder of English Foxhounds who planned to transport 100 across the Atlantic to Washington, only altering his plans at the last minute to send them on another vessel. The dogs were kenneled and exercised on Titanic's poop deck and John Hutchison, the ship's carpenter, was responsible for their welfare during the voyage. While it was not supposed to happen, it is highly likely that some of the smaller dogs were kept in their owner's cabins at the discretion of the ship's staff. These smaller dogs, Pomeranians and Pekingese, were at an immediate advantage, for reasons that would show themselves later. Some of the ship's wealthiest and most distinguished passengers brought their dogs onboard, including millionaire John Jacob Astor who came aboard with Kitty, his beloved Airedale Terrier. Kitty was just one of the many dogs that sadly perished in the sinking. Another notable figure, Henry Sleeper Harper, heir to Harper and Row Publishing of New York, brought his Pekingese, Sun Yat Sen - named after the first president of the Republic of China, onboard. Other dogs included a King Charles Spaniel and an elderly Airedale Terrier owned by William Carter, a Chow-Chow owned by Harry Anderson, a champion French Bulldog called Gamin de Pycombe (worth £12,575 in today's money), a Pomeranian belonging to the Rothschilds and another, owned by Margaret Bechstein Hays. Of these dogs, it is thought only 3 survived Titanic's sinking. All of these were small lap dogs that could easily be smuggled into lifeboats. Lady, Margaret Hays' Pomeranian, had been purchased in Paris and was accompanying her home to New York City when Titanic struck ice. Both owner and dog got aboard lifeboat 7 and were eventually rescued by the Carpathia several hours later. Elizabeth Rothschild refused to get into lifeboat 6 unless her Pomeranian was also allowed to accompany her, much to many people's displeasure. Although the dog was small and could easily be carried in a lap, some people felt that any extra room should be used to save a human, rather than canine, life. The last dog to escape belonged to Henry and Myra Harper who, fortunately for them, also managed to get away in lifeboat 3. It is rumoured that the other dogs were released from their kennels at some point during the ship's sinking by John Jacob Astor, who didn't want to see the animals dragged to the bottom of the Atlantic in locked cages. Another First Class passenger, Miss Ann Elizabeth Isham, is believed to have brought her Great Dane aboard Titanic and refused to enter the lifeboat without him. When the Carpathia finally arrived and combed the site for survivors, it has been suggested that Miss Isham was found frozen to death, with her arms wrapped around her beloved Great Dane. As for the other animals onboard Titanic, their fate can only be imagined at. For the fortunate few, it was both their size and circumstance (being pets of First Class passengers) that kept them alive. The fact that only upper class passengers were allowed their dogs onboard was probably a saving grace as, had dogs been permitted to all passengers, there would surely have been far more deaths. And for the owners that forfeited their chance at a lifeboat to be at their animal's side when Titanic went down, I'm sure many of us will understand their reasoning and would have done the same.